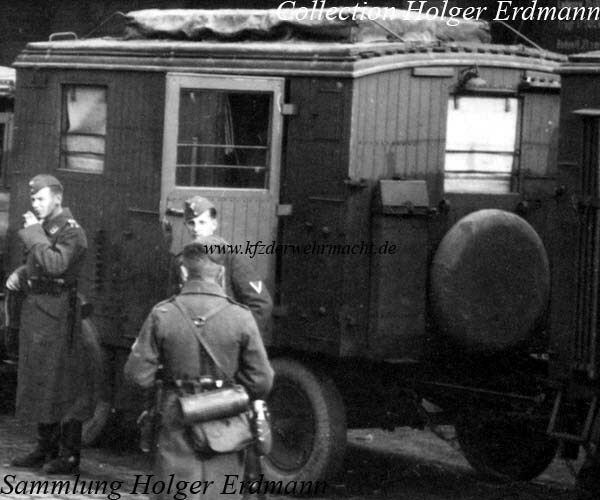 The Betriebs-Funkempfangsanhänger – radio reception operating trailer – (2 achs.) (Ah. 471), abbreviated Betr. Fu. Empf. Anh. (2 achs.) (Ah. 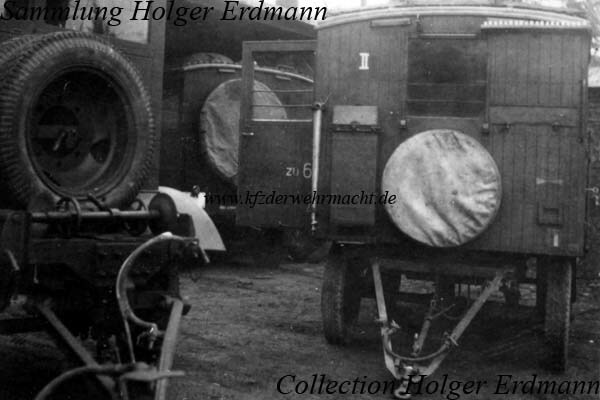 471), belonged to the ground equipment of the Luftwaffe. 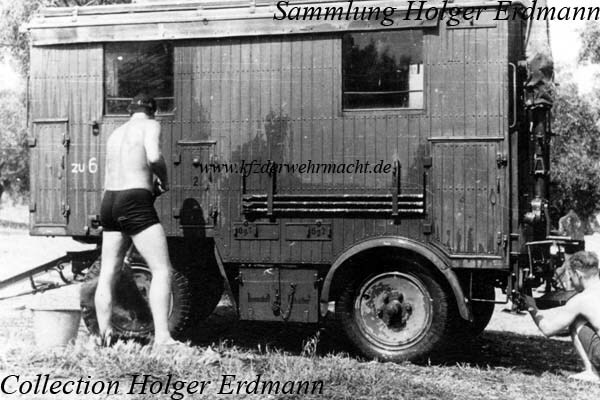 The marshalling panel right above the front window was typical for this trailer model. There were six seats for the crew in the interior. On this photo one can see the the right side of the Betr. Fu. Empf. Anh. (2 achs.) (Ah. 471). Likewise typical were the brackets for the leverage of a separate radio mast. There were parts of the leverage of the radio mast on the left side of the Betr. Fu. Empf. Anh. (2 achs.) (Ah. 471), too. On the rear side, a retractable radio mast was fixed.